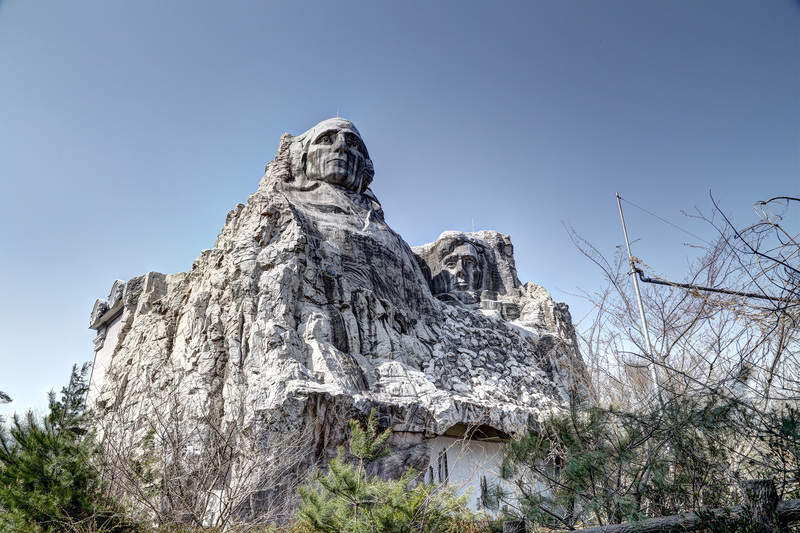 The Australian photographer Shane Thoms was shooting abandoned hotels in the mountains outside Tokyo when he spotted something unbelievable: a giant replica of Mount Rushmore. Curious, Thoms parked his car to investigate. What he found more than satisfied the promise of that first glimpse. Beyond the statue was an intact world from a different time and place. There were no people, nor any Japanese architecture. Instead, the buildings and figurines he encountered looked plucked from a John Wayne movie. Thoms had landed upon Western Village, one of history's odder artifacts. An abandoned theme park, it was perhaps as intriguing in its heyday as it is today. 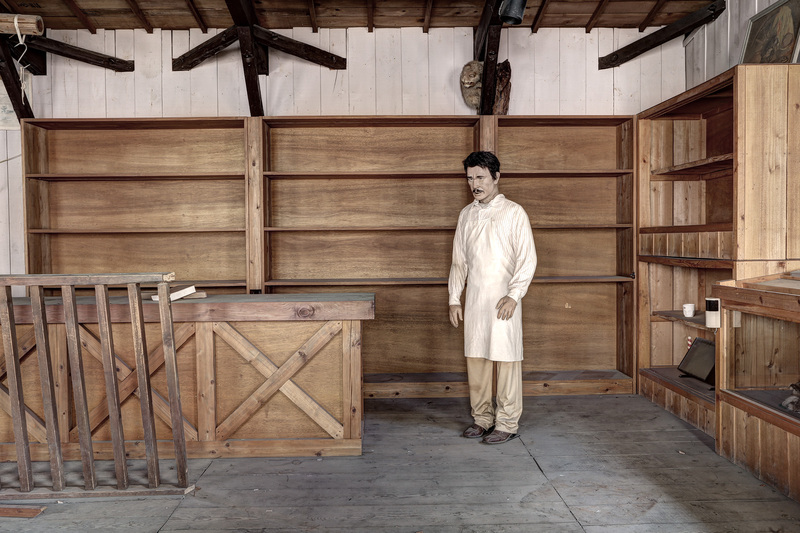 Writing on his blog, Michael John Grist, a Tokyo-based writer and ruin photographer, calls the park "a quantum pocket of the Old West Disneyfied and transplanted wholesale from the American collective unconscious." 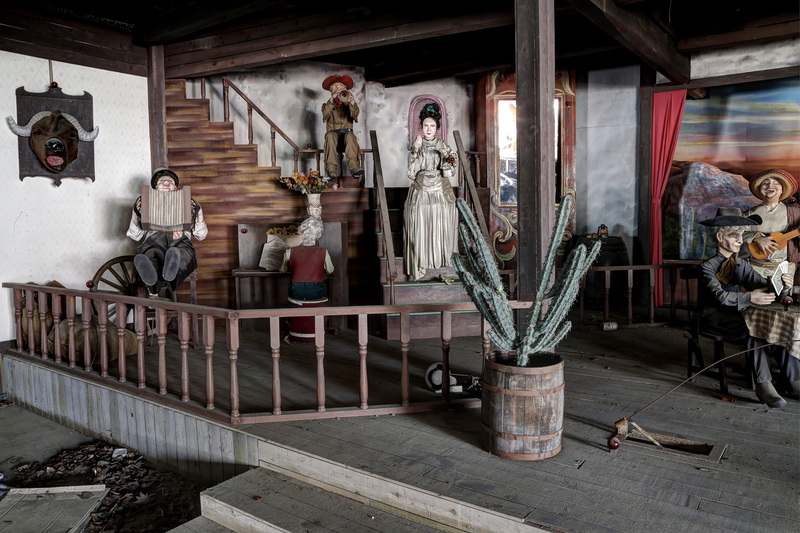 Once crawling with tourists, the empty grounds still hold a Western saloon, a jail, a stream dubbed the Rio Grande, "vast Mexican barrens," and that Rushmore replica -- which cost $27 million when it was built in 1995, according to Grist. Since the site shuttered in 2007, the remains have slowly devolved. 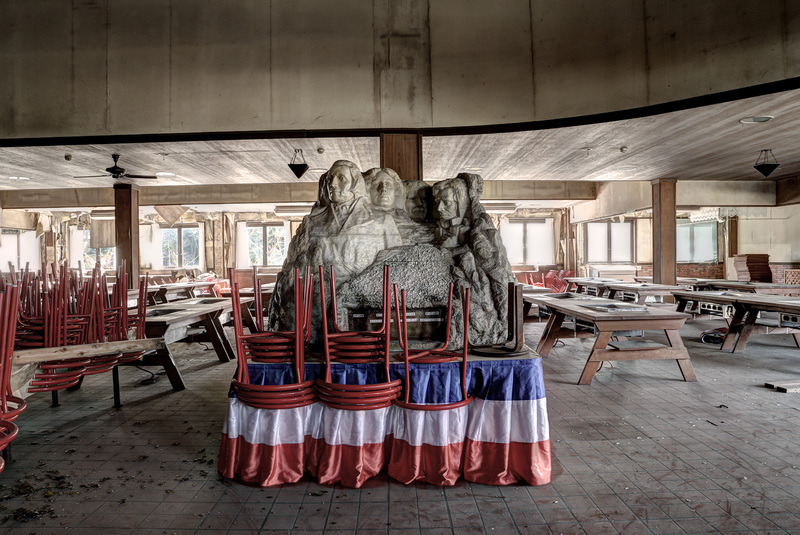 Grist recounts bloodied animatronic figurines, and claims that the insides of the fiberglass Rushmore are "rotting." Unsurprisingly, Thoms also found countless eerie vignettes begging to be photographed. "It was a remarkable place," he wrote in an email to HuffPost. "Everything still in its place albeit in a state of decay and disarray." Grist details the park's unlikely origins in his post. First called Kinugawa Ranch, it opened in 1970 as a novelty destination, where visitors could unwind with lasso lessons, horseback rides, and a pond open for fishing. In time, it grew to include Disneyworld-style shows, wherein hired shooters knocked apples off "unwitting guest's heads, William Tell style," Grist writes. Expansion would eventually bring about the pricey Rushmore development, as well as commercials a social anthropologist would go crazy for. The one below, uploaded to YouTube by a user with a Japanese screenname, features more cultural appropriations than a Miley Cyrus video, from the inevitable Western shootout to a line of dancing senoritas. 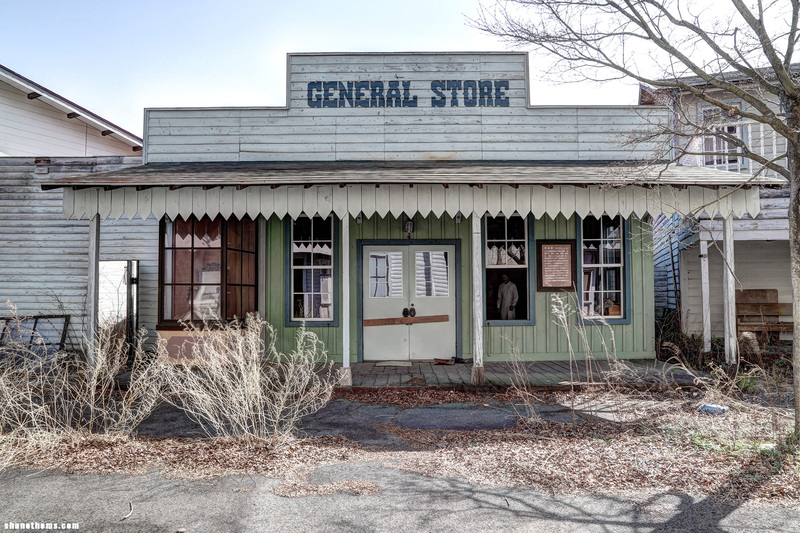 For more images from Thoms' Western Village series, head to his site.